Reissued sneakers are having a moment. The popularity of revived Nike '70s Cortez track shoes and '40s PF Flyers prove that sneakerheads love footwear with history. And now there's another cult classic to add to the collection: the 90-year-old Chinese brand Hilui (Chinese for "Warrior") has recently rebranded and re-released its most popular style, which was as big as Yeezys in their day. The brand has redesigned its '60s originals, made from canvas with a red and blue stripe, in a new refined look with a statement leather stripe in either of the two shades. They're now named the WOS33, or Warrior Ordinary Streetwear 33. 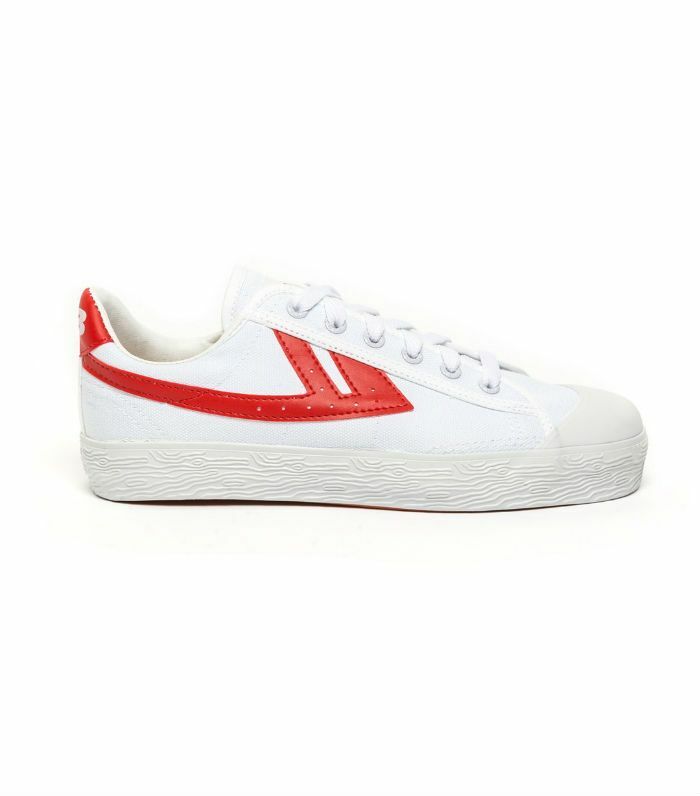 During the '60s and '70s, the canvas white sneakers became the country's biggest sportswear trend, and when volleyball and basketball players wore them in the '80s, they spurned a legion of teenage copycats. Their popularity then waned in the '90s as foreign brands stole the sneaker limelight. But thanks to influencers in Shanghai and Beijing, they've made a resurgence and were everywhere at Shanghai Fashion Week. Keep scrolling to see the new It sneakers and get yours before they're everywhere. Next up: the most popular sneakers of 2017 so far.